1. 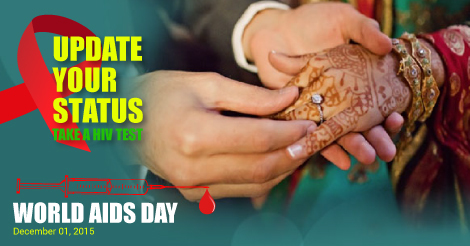 HIV testing is completely free in government hospitals of India. These tests can also be done in private laboratories. 2. The rapid HIV antigen test takes only 20 minutes to provide results and requires a blood sample to be collected from the patient. 3. If a person gets positive results with rapid antigen testing, he/she is confirmed for the infection of HIV using ELISA test or Western Blot test. These tests provide results within 20 days. 4. Accurate testing for HIV is only possible after 3 months from infection and this duration is called as ‘window period’. While is it highly recommended to get tested for HIV as soon as you suspect possible infection, it is also necessary to get re-checked after the window period to receive most appropriate results. 5. Anyone who get negative HIV result can lead a normal life but must ensure to take precautions to avoid infection. 6. Patients who gets HIV positive test need to contact physicians and counsellors who can guide and medicate them in order to prolong the development of AIDS. 7. A HIV positive person can remain healthy and devoid of AIDS with proper lifestyle, proper medications and avoiding risky behaviors.